The Sabres have not played well in the Bell Centre. Ryan Miller has not won there in four starts. Buffalo disregarded those stats and came in and beat the Canadiens. Tim Kennedy celebrates his goal that put Buffalo up 3-2. 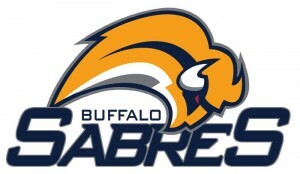 The game resembled a style similar to the Sabres’ 2006-2007 season. It was an offensive game, even with the league’s best goaltender in the net. Montreal got on the board first with Andrei Kostitsyn’s seventh of the season. That’s was it for the first period. Both teams had nine shots, but Montreal had the 1-0 lead. As soon as the puck was dropped in the second period, Adam Mair and Ryan O’Byrne dropped the gloves. Midway through the second, Buffalo got on the board with Andrej Sekera’s second goal of the season. Montreal would not see a lead for the rest of the game.